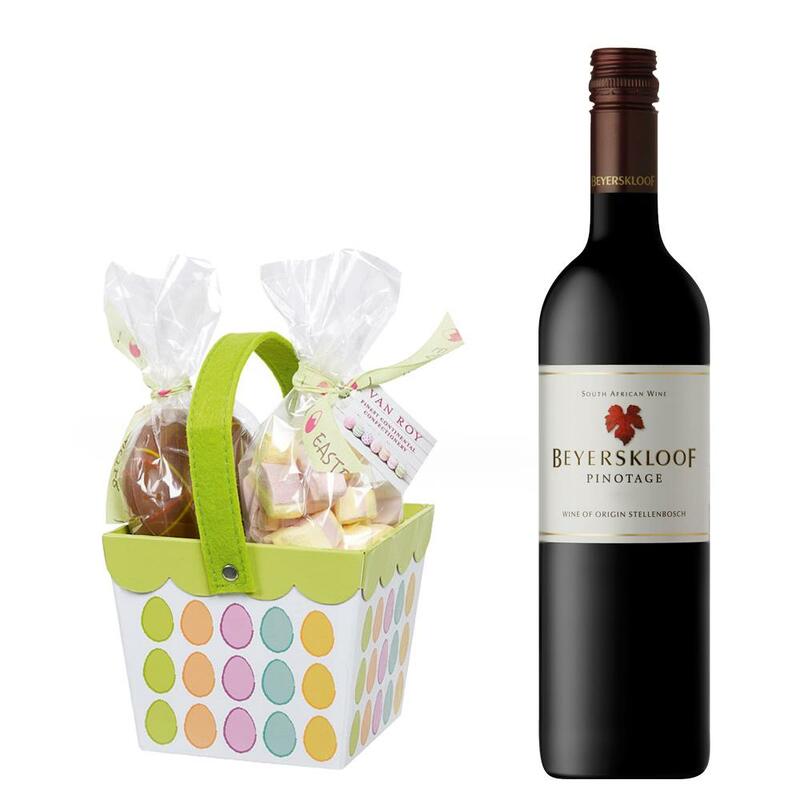 Buy this Easter gift and it comes with a full bottle of Beyerskloof Pinotage 75cl packed with an Easter basket filled with Van Roy Belgian milk chocolate eggs 6 x 325g and mallows. Beyerskloof Pinotage - South Africa, Primary fruity aromas lead to an abundance of plum and black cherries against mocha, cedar and sweet spicy notes. Strong plum flavours with velvety tannins. Well structured, yet elegant and soft, medium-bodied with a fresh and superbly balanced finish.